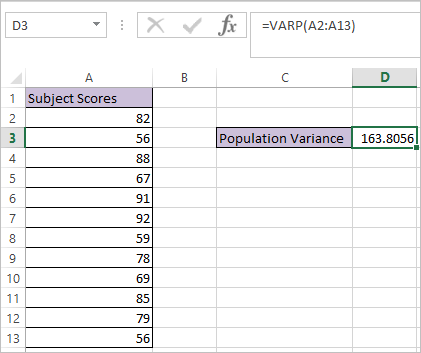 VARP function in Excel calculates the population variance of a supplied set of values. 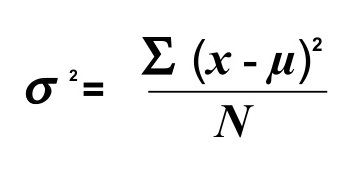 Variance, measures the deviation of number from the average value. Where the number arguments are numeric values for which you want to calculate the population variance.